Clark Crenshaw Photography | Morning Light at the Sonny Bono Salton Sea National Wildlife Refuge. Morning Light at the Sonny Bono Salton Sea National Wildlife Refuge. 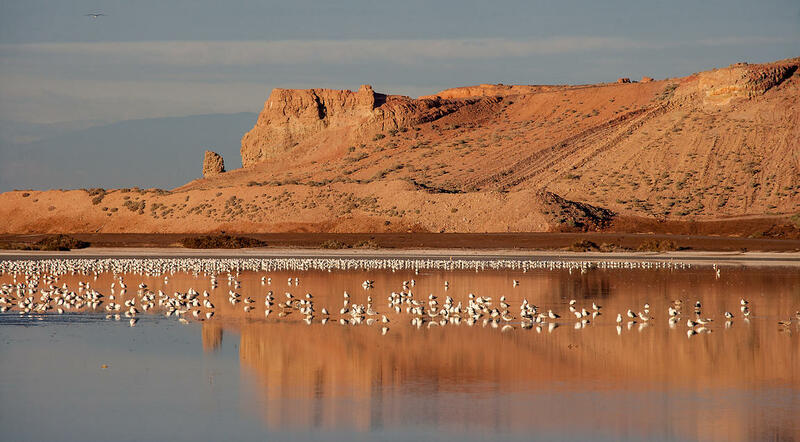 Morning light on rugged landscape which is reflected in the water which has many sea gulls.